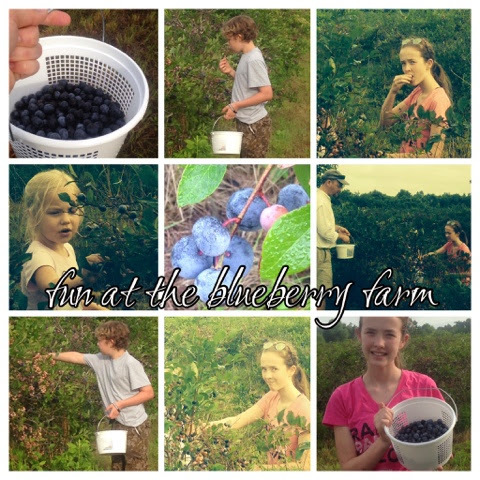 Our neighbors have a farm that has tons of blueberry bushes. I mean TONS! They have their best crop ever this year, and our family picked a few gallons Saturday morning. We were given a couple of instructions for picking. The last thing our friend said was, "all the ones you can eat are free!" All I could think of was the Bluebell Ice Cream commercial when it says, "we eat all we can, and sell the rest!" I don't think I ate a gallon, but it was close. Nothing quite says summer like a plump, juicy blueberry! 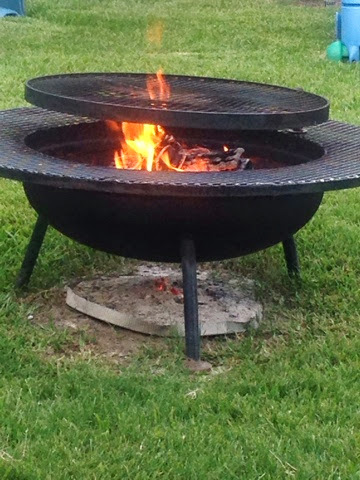 After we rested up and got a few more things checked off our list, it was time to light the fire pit...my favorite! We cooked some bratwurst over the open flame and had the best brats wraps ever. Then we pulled out the marshmallows for the perfect ending to a great summer day! I even saw a firefly! It just doesn't get any better than that!